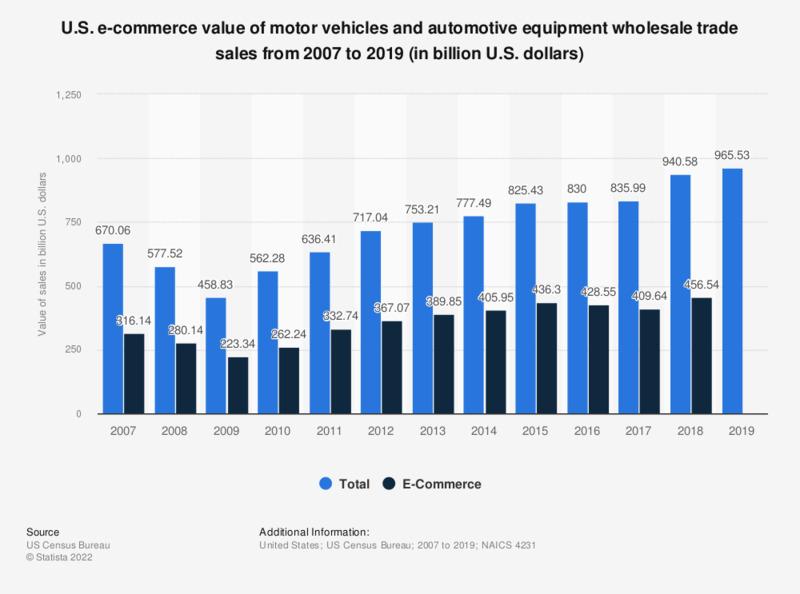 This timeline shows value of total and e-commerce sales of vehicle and auto equipment wholesale trade in the United States from 2007 to 2016. In the most recently reported period, the e-commerce value of sales was 447.6 billion U.S. dollars. Includes manufacturers' sales branches and offices. Statistics on "B2B e-commerce in the United States"
What percentage of sales do you currently transact through your e-commerce channel? How soon will manufacturers in the United States without a B2B website build one?